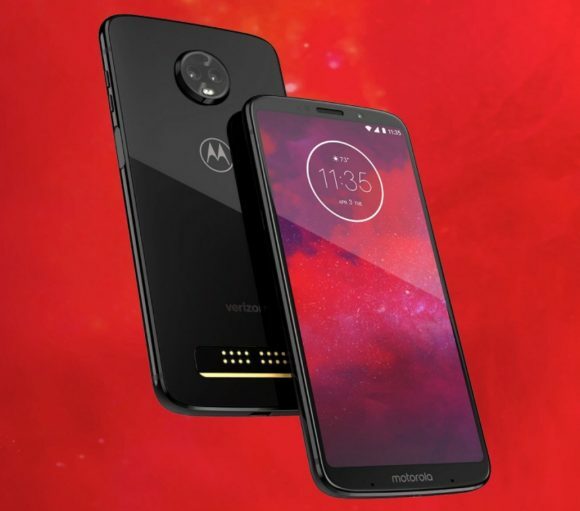 Commercial 5G roll out might still be years away but Motorola wants you to be ready with their latest Moto Z3 flagship smartphone. Currently exclusive to Verizon in the US, the Moto Z3 claims to be the world’s first 5G ready smartphone and you can get faster speeds by simply attaching a Moto Mod. 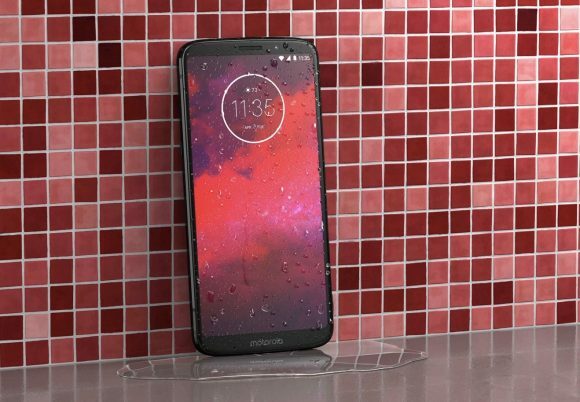 The Moto Z3 is their latest flagship device which comes with a 6” Full HD+ OLED display in an 18:9 aspect ratio. Under the hood, it packs last year’s hardware as it runs on a Qualcomm Snapdragon 835 processor with 4GB of RAM. There’s 64GB storage that’s expandable via MicroSD. The rear gets a dual 12MP (RGB + Monochrome) main cameras while the front comes with an 8MP selfie shooter. Powering the device is a 3,000mAh battery which charges via USB-C. The Z3 also gets a side-mounted fingerprint sensor and out of the box, it runs on Android 8.1 Oreo. There’s also P2i water resistance which is basically a nano-coating that protects the device from accidental spills and splashes. In order to be the first to provide a 5G experience, Motorola has introduced its 5G Moto Mod that uses a Snapdragon X50 modem. It promises 10X faster speeds than today’s wireless technology. According to Motorola, you can download an entire 4K movie in just seconds. Since 5G offers lower latency than 4G, the 5G Moto Mod will also enable a more responsive AR and VR experience. The 5G mod has a built-in 2,000mAh battery and it can also turn your phone into a 5G hotspot. The 5G Moto Mod will be available early 2019 and it’s only sold in the US. 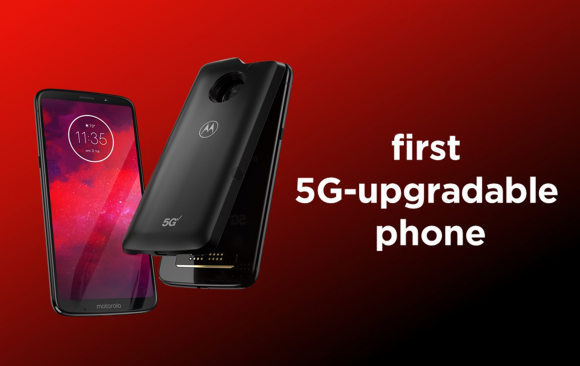 The Verizon Moto Z3 will be the first to support 5G connectivity followed by the previous Verizon Moto Z2.